Society tends to tell us that we can’t always get what we want. This has been so embedded that we close ourselves off from pursuing a greater and bigger life. Showing us that we can actually do that, Scott interviews Kelly Resendez of BigVoicesRise.com about entrepreneurship and how entrepreneurs (both male and female) can give themselves a bigger voice in the market. Kelly gives us some wisdom from her books, Foundation to Sustainable Success and Big Voices, highlighting the mode of scarcity we live in as well as sabotaging management plans. Empowering entrepreneurs to reach for success, she talks about the importance of putting yourself first, to retreat and find that inner peace. She rounds it off by talking about helping women awaken their feminine warrior. We’ve got an amazing guest that’s going to drop some nugget bombs on all of our heads out here. She is an amazing lady. I was very honored to be introduced to her through some mutual friends and she’s got some great stuff to share with us. I’m talking about the one and the only, Kelly Resendez. She’s a mom, a business executive, a bestselling author, and an influencer. She loves helping others with strategies to overcome self-sabotage and find more joy. She’s authored the popular book, Big Voices. She has also founded the movement the book is named for, Big Voices, a woman-empowered network. Kelly is passionate about helping people increase joy, reduce suffering, and learn to think differently. Her own journey has helped her create the strategies and tools that she shares throughout her books. 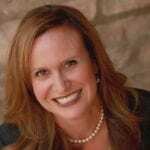 Currently, she is the Executive Vice President of Paramount Partners Group, which is a division of Loanpal. She used the same concepts of mindfulness, self-discovery, and goal setting to help those in the mortgage and real estate industries create a successful business. Welcome, Kelly. I am so excited to be here with you and all of your audience. Thank you so much. We’re honored to have you and it’s such a small community. You were on Tracy Hazzard’s podcast with Feed Your Brand. I had dinner with her and Tom and they said, “You’ve got to have Kelly on your show.” You and I exchanged emails and on the phone. I was like, “It’s a perfect fit for the Note Closers group.” Besides what I just introduced you, anything else you want to add a little bit about who Kelly is? To be honest with you, I’m like everyone else that’s out there that has struggled to maintain success, balance, and joy simultaneously. That’s what led me to be able to create this world where I can impact other people’s lives because so many of us think that it’s ors. We have to be financially successful or have an amazing relationship or be healthy or be this. I’m here to tell everybody that you can create whatever life you can imagine and you need more ands in your life. Get rid of the ors and add the ands. A lot of entrepreneurs do struggle with that. We’re so center-focused. We got blinders on everything. We put our health on the back burner, “I’ll work out more once I close these deals or closed these numbers or I’ll go from there.” It doesn’t have to be that way. It doesn’t, but society programs us to believe if only. Coming out of the generation that you and I did, it was always about, “If only I was retired, then I could start enjoying life. If only I did this.” That’s where we all have to take a step back and say, “We can have it all.” We just have to put the intention behind it, create a plan, identify what help we need, and start executing. I love what you said, come up with a plan and start executing. You and I were talking about how it’s the end of October and I was asking, “How’s it going over there? Is it crazy being in the loan business?” These last couple of days, I’m always calling people trying to figure out stuff closing. You said something that was good. You were like, “We’re trying to figure everything and get everything rock and rolling so we’re not so crazy in October. November is even a better month.” Do you want to talk a little bit about numbers this time of year in the mortgage industry? It’s important because we’re in the mortgage, we’re on the opposite side a little bit different. When you’re in a cyclical industry where people believe that there’s seasonality to success, that we have the ability not to accept that, we can challenge the norm. We can go up against what things have always been and create a new reality for our self. We need to be strategic about how we build our business. 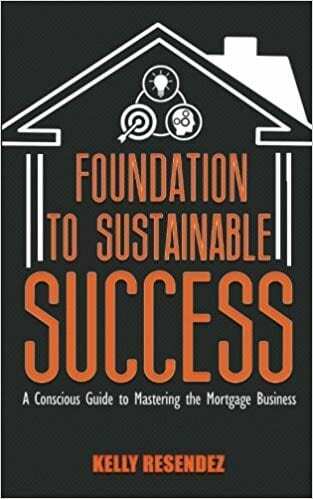 My book, Foundation To Sustainable Success, which is for mortgage professionals and people that are looking to build a long-term real estate business, it’s about strategy. Where I see this be a big issue is that most people are in a mode of scarcity, which means I need to hold on to everything I’ve got right now and get paid without thinking about this longer funnel. If something rolls over to the next month, it’s setting you up to being in a greater state of abundance. You’ve got to reprogram how you think and prioritize what’s going on so that you have a consistent stream of opportunity. For most people that are in our industry, the reality is that we haven’t focused on the number one priority, which is client acquisition. We need to be in client acquisition mode every single day of the month and when we get so focused at the end of the month on closing the business that we already have, we forget to create the business that we don’t have yet. It’s almost like a seesaw. We’re going to acquire stuff and we had to close it out. We acquire and close it out, “I had to close this out. I got to go back in and restart that whole engine up again,” versus having to run consistently throughout the month or quarter or whatever your numbers are. I don’t think that’s how it feels to somebody that’s going through it. The way that it feels to somebody is like jumping out of a plane and having your parachute not open. They feel like dying all over again every single month. I look at it and so many people describe it as a roller coaster. I’m like, “No, I wouldn’t say that because the rollercoaster, there’s going to be an ending and you’re going to be able to get off the ride.” You don’t get to get off this ride. It is going to be forever unless you build a sustainable business model for yourself. You can’t do that unless you have created funnels of opportunity. You can measure the conversion rates and the minute that the market slows down, which is what happened to us in the last couple of months. We know our conversion rates went down. Now, we have to add more opportunity to the top of the funnel and I’ve got to know how to do that. Who are the partners and refer all people that can reach me and give me more opportunity? Do I need to expand that and get in front of it? We have an opportunity to change that. That’s normal human pattern behavior. I look at my thirteen-year-old son who’s a procrastinator from the moment he wakes up. He is like, “I don’t want to get out of bed. I don’t want to take a shower.” It’s not getting out of bed or taking a shower, it’s our thoughts about it. That’s where the strategies that I introduced, especially in Big Voices, come in where we’ve got this thought management strategy and we separate from that voice. The voice that says, “Scott, you can wait to send the email,” or “Scott, you can wait to quit making those phone calls,” is the enemy. We need to know how to sort and qualify our thoughts so that we can take action quicker. Take action. Start making things happen and you’ll see a lot better versus procrastination. Many people procrastinate. I want to ask you a question here because in our line of work, with what we do, it’s about 52% men and 49% women that’s our audience. When it comes to the investing side, it’s a lot more heavily skewed towards the male. It’s male dominant, especially reaching out to asset managers and banks. I tell them women have an easier time reaching out to men to get this stuff done. What kind of things do you see or you’re talking about to help women overcome that inner mind game that they often play with themselves? Everybody does, I’m not saying it’s relied on women, but a lot of people go, “I’m not good enough. They’re not going to ever talk to me. I can’t get anything closed.” What are some of the things that you like to work with people and help them break through that glass ceiling? What I coach to is called my sabotage management plan and it works for both men and women. In both of my platforms, Foundation to Sustainable Success and Big Voices, I introduce this where when we come up with our preferred method of sabotage and we create a plan around it and instead of keeping it hidden, we share it with everybody. I’m going to openly tell you right now, I am a recovering perfectionist and I relapsed on a regular basis. I’m going to watch this video later and be like, “What did you do to your hair?” Whatever it is. We all have something that we’re going through, but when we identify what it is, we will see that it’s a pattern that’s run since we were very young. Our frontal lobe kicks in somewhere around age seven, right around there and we start to simulate and we start to overthink the potential outcomes. The downside about the way that our brain works is that it normally goes worst case or best case. We ruminate on the worst case. What we do is we think about all the possible ways that this person’s not going to like us or this or that. We can remove that from our life if we learn how to do one simple thing. This is what success comes down to. It’s how do we get ourselves to do the things that we know we should be doing when we don’t feel like it? If somebody says, “What separates you?” It’s simple. I don’t ask myself how I feel anymore. I just don’t. I’m so disciplined in every aspect of my life, including adventure and celebration because it’s not about just working and working. I have to be disciplined about my self-care. I have to be disciplined about going on an adventure and traveling and experiencing new things. For women, some of our preferred methods of sabotage are very similar to men. Lack of confidence in people shows up, but it shows up differently. When women are insecure, we become controlling. When men are struggling with that, they disappear and they retreat. We handle these things differently and when you get to the root of what might be going on underneath the surface and you start to think about like, “When did this start?” Maybe it was your teacher in fifth grade that embarrassed you for asking questions and so now you don’t like to ask questions. Asking questions is probably the way that you’ve created a lot of your business. You ask questions that other people weren’t willing to ask when you push past things that other people weren’t willing to push past. When you want it hard enough, you start to figure out what is in the way, not only externally but what’s in the way internally. What are the blocks that might be preventing me from getting to that next place? Time management, perfectionism, that desire to please other people, and worrying about what other people believe, or procrastination. There is a long list. I go into them on my website. There’s a blog on there that’s under this and you can print a sabotage management strategy sheet. When you go through this and you’re like, “That shows up every morning at 8:30 when I’m in line at Starbucks. I’m wondering if these people are looking at me,” or wherever it starts. You’re able to then get to this place where that voice, whatever that distraction is, no longer has the power in your life that it did before. It’s pulling it out of the darkness that’s the secret. 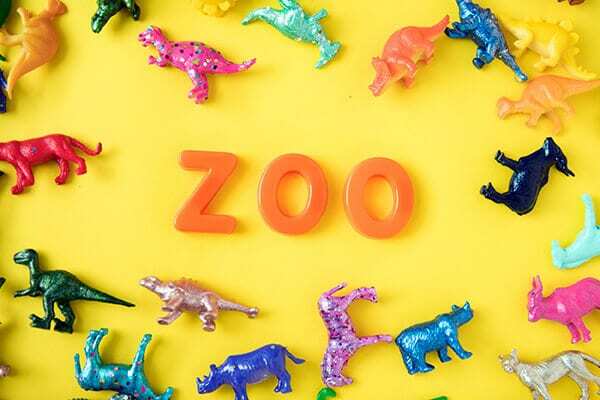 Big Voice: We’ve all got a box of monkeys on our heads while some people have a whole zoo. Yes, or thank it even like, “I appreciate you.” That’s one of the things that’s difficult is that many of us want to slay it. We want it to go away. In my life, spending fifteen years studying psychology, neuroscience, mindfulness, self-actualization and all of these things, my monkey still show up. They just don’t control the way that I live my life. They’re almost in the background. There’s a wild monkey party going on right behind us right now, but it doesn’t affect the fact that I’m here with you right now being present. You move through it and you get that greater awareness as it shows up. A lot of people as entrepreneurs, they come over from a job. They’ve had somebody tell them exactly what to do, how to think, when to show up, when to leave, when to take a punch, and then get into the entrepreneurial game. A lot of those monkeys come flooding in because they don’t have those parameters they build. They don’t have those habits and those systems that they do to overcome things. Being an entrepreneur, you have to ask yourself, “Am I capable of self-management? Am I capable of self-discipline which is going to get me through the seasons that I don’t feel like doing the things that I know I should be doing?” If you don’t possess those two things, it’s going to be difficult because nobody else is going to be there. What you want when you work for somebody else is someone else to blame. That’s why so many people stay stuck in employment for so long is that they want to blame somebody else, whether it’s their company, the market, their boss, whatever it is because now you enter into entrepreneurship and there’s no option. You’re looking in the mirror. If the money’s not coming in or the clients aren’t showing up, there’s only one reason for that and that’s you. My friend, Christopher Lochhead, I don’t know if you’ve ever read any of his stuff, but he wrote the book, Niche Down. When he talks about entrepreneurship, he says, “It’s not an option for a lot of people because they can’t work for somebody else.” They can’t. They absolutely can’t be accountable. They can’t subscribe to somebody else’s vision. If you fall into that box, then you either have to make that decision that you’re all in and you’re going to work on who you’re being. If you choose not to work on who you’re being and you only focus on what you’re doing, you will limit the success and potential that you have in life. There is that need for certainty that a lot of people have. We want that safety. That’s a block that many of us have. We may have been raised in an environment where the money didn’t flow. I was fortunately raised by parents that were entrepreneurs and better, yet I was raised by a mother that literally, confidence was not an issue. There was no other option in our home other than to be confident and resilient. We all come from different backgrounds. You’ve got to first and foremost believe that you can create whatever mindset you believe is going to move you forward. You may have a mindset now but trust me, you could shift that mindset and become somebody completely different over a period of time. It’s going to take work, but it’s absolutely possible. This is a time of the year when a lot of people struggle with that because of the holidays, the emotions that come along with it. Trying to keep up with what our parents taught us about the holidays, “I got to have twelve trees, I got to have these perfectly wrapped gifts. I’ve got to make the perfect dinner for my family. I’ve got to figure out something that I want to accomplish next year because I failed this year with my goals.” A very good friend of mine told me a long time ago, “If you ever want to get somewhere, start visualizing what that looks like.” Start visualizing what you want to be doing. What do you look like? What are you doing on a daily basis? Write it down in detail. The minute I started doing it, I’m like, “I could tweak a couple of things,” and start seeing the ands showing up. I’ve been in the goal planning space now for twenty years. I’ve done it all from vision planning to goal planning to manifestation work. What I believe it boils down to is having the daily disciplines. Before you start giving yourself to other people, you put yourself first. My morning ritual is concrete. I review my goals every single morning. Most people, the 5% of people that we believe do goals and business plan, they do them but they don’t embody them. They miss one major piece that this is definitely what I coach on, which is not only do you need to know the goal and the plan, you need to know exactly what help you need in order to be able to reach it. You need to be vulnerable enough to ask for it, whether that’s connecting with people or you might tell somebody, “If you know any asset managers that are X, Y, Z, that thing, I would love for you to share my information with them.” Whatever that looks like. You’ve got to embody it every day and it’s more than just the plan or the goals. It’s cultivating the right mindset that’s going to help you reach them. You’ve got to be open to asking for help. A lot of people that are control freaks, they’re trying to do it all by themselves. That’s the hardest thing is being vulnerable enough to say, “I can’t accomplish this myself. I need help.” It’s what separates the successful from those that are still struggling. Those that are successful, they are the ones that are not delegating but they’re asking for help. They’re finding the right people to help them out to accomplish things. When we hold onto things so tight, we think it’s the reason why we’re successful. What I want to give everybody who just tried it is to let go and surrender more and see what else opens up. There’s a way to push yourself to success and then there’s a way to flow to success and flowing to success feels much different. It’s in this space where opportunity comes at you. You don’t even have to go out there and seek it as much. If you know that you want these types of people to come into your business, all of a sudden the introductions, like with us Scott. My vision is to impact millions of people across the world. Having people tell other people about my movement and the strategies that I bring, type A people that need more inner peace, which I’m there, I was there with everybody else. I’m not going to a ten-day silent meditation retreat to find my inner whatever woo-woo. It’s not going to happen. I’m still coming to work every day and crushing it. I just experience that much differently than I did before. Let’s talk a bit about Big Voice because I love movements. I love what you’re doing with that. I spent some time researching and talking about that. Why don’t you share a bit more about your passion for that? I’ve been in the mortgage now for twenty years. 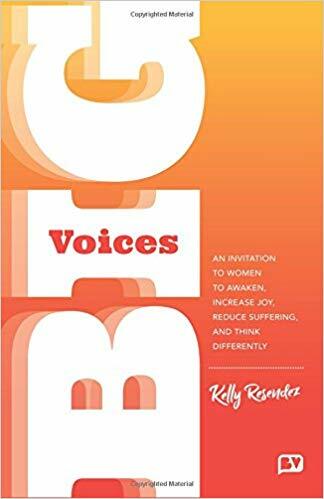 My first book came out in 2017, which was Foundation to Sustainable Success, but I had this calling in my life that I wanted to help more women awaken. Awaken because I believed that we’re struggling and it’s impacting the men and the children in our lives. Although we’ve broken the glass ceiling, we haven’t learned how to navigate this in partnership. We’re still holding on to the majority of childbearing responsibilities. We’re still controlling consumer spending. We haven’t let go of a lot of the things that we need to. I believe that we’ve got to write new roles. The ugly truth is child obesity is at its highest level. Adult obesity is. Women are complaining that they’re not sleeping at night or suffering more from the Western disease than we ever have before. The stress is manifesting in so many different ways. When we’re insecure or out of balance, we become controlling and then that leads to the breakdown of relationships as well. I’m not saying that we own everything, men have their work to do as well. It’s about finding our authenticity, feeling like I can be present. When I’m at work, I’m not thinking about my kids and when I’m with my kids, I’m not thinking about work. We’ve got to learn new strategies in order to be able to do that. Through Big Voices, I share how to manage emotional triggers, how to create this thought management strategy and decipher what your big voice, which is your highest, most authentic, powerful, feminine warrior, whatever you want to call her from that little voice, which is your ego or the enemy or whatever you want to refer to that as. As we qualify that, we show up different. I believe the reason why many women aren’t in powerful positions is that we believe that our life’s going to get worse if we are. It’s not because we’re not qualified. We need more feminine power in the workplace. It brings something different. I lead from my feminine, which is very nurturing and collaborative and connected. It doesn’t mean I don’t use my masculine sometimes to get projects done or whatnot, but I definitely lead from that. As women, we are putting masks on. We’re leading with our masculine in order to be more successful and we don’t have to do things that way. I’m passionate about helping women because we are so powerful that the ripple of us standing strong is going to impact the entire world. Big Voice: We all have a story, but in spite of it, you can create whatever success you want. I was watching something about a lack of female mentors out there a while back. There’s a huge gap and that there’s a lot of guy mentors out there, but it’s not the same thing as having a woman executive or somebody climbing up or trying to grow things. At least in our space, I’m planning an online convention and I always try to keep it 50/50 men speakers to women speakers. I’m encouraging the women speakers. There’s a need for that. You have the ability to connect with other people that I could never connect with. That’s an important thing out there to get the message out there of what we’re trying to do. Even the state of California passed a law to require more women to be on boards because it was so low and we are influential. We need to be as qualified as the men that are seeking these positions. We also need to understand that the unintended consequence of the #MeToo Movement is that men are afraid to engage with female co-workers. We need to take the initiative as companies. Here at Loanpal, we have women mentoring program with coaching that I get an opportunity to run and be able to help people know how to engage in a way that’s acceptable. It’s all over the news. As women are speaking up, there is this other underbelly of what’s going on which is men are going to be afraid to mentor women and then we’re going to lose out. We’ve got to rewrite these roles and it’s going to start at the top. It’s going to start with owners, executives, other people making it mission critical that they have an open environment that supports both the growth of men and women. Also, we do want to have babies and we need to equally distribute some of that amongst men and women so that we both have a fair shot. What are some advice that you want to give to women that are struggling this time of year right now or looking to make that jump to entrepreneur? This is for the men and women audience. Choose to create the life that you know you’re destined to. For me, it just included more ands. I can run a company and be a writer, and a speaker, and an impact person in the world. You can create whatever vision that you want. 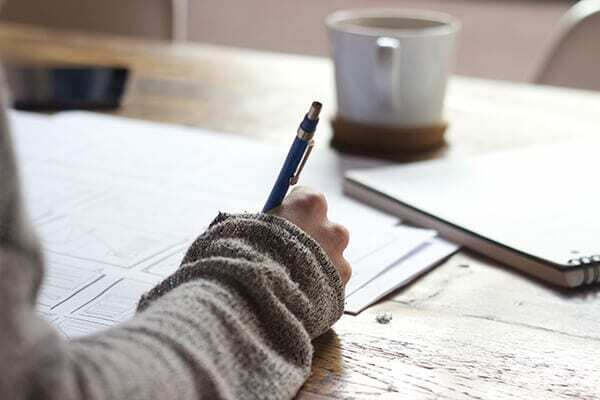 It’s going to start with writing a new story, getting your goals done, getting your business plan done on both of my websites, which is BigVoicesRise.com and then FTSSForSuccess.com. I have goal planning, business planning, sabotage management tools, thought management tools, every imaginable tool between those two that are going to be able to support you in doing that. If you pick up a copy of the books as well, it will help you. It’s believing in yourself that you can create whatever life you choose to. You need to quit wanting, you need to quit needing, and you need to start creating. With that, it’s going to come focus and intention and working on yourself. What’s the best way for people to reach out to you? Is it the BigVoicesRise.com website or your email? You can email me at Kelly@KellyResendez.com. I have a coaching and training company as well. We’re happy to chat with you. Both of my websites have blogs. I try to publish video weekly with tips on creating abundance. Right now at this time of the year, go against the grain. Everyone else is going to be slowing down. This is the time that you definitely want to be speeding up. You said you have some event plans. Anything like that in the upcoming future for people to tap into as well? I will be having a webinar that is a goal planning webinar that’s going to be coming out soon. We’ll get you details on that and maybe you could send it out. Our first Big Voices for women event is going to be in the summer of 2019. I’ll have some big-name speakers there as well but nothing date-wise confirmed. Kelly, thank you so much for joining us. I know you’re busy like everybody is but thanks for being here. I love that you’re so committed to making a difference in your industry as well. We have a big thing called WIN and we call it Women In Notes. There’s a lot of opportunities out there. We see it as being gender neutral here because it doesn’t matter. The borrowers don’t care if you’re a male investor or a female investor. The money’s the same and there’s a lot of opportunities out there for people to take advantage of. It’s just that sometimes we have the mind blocks that hold us back. I don’t know what it is for everybody. Everybody’s got something and it’s a matter of how they overcome that and take action to start doing some things. Live in that in spite of life. We all have something. We all have a story but in spite of it, you can create whatever success you want. We’ve got some questions. Do your books have audio versions as well? The audio version of Big Voices is going to be out in December of this year. If you sign up for my blog at BigVoiceRise.com, we will notify you the minute that the audiobook comes out. Kelly, thank you so much for being on the Note Closers Show. I appreciate it. It’s been wonderful. It’s a great way to start the week. Thanks. That’s going to wrap it up for this episode. Go out and take action. You’re going to find out that you don’t have to pick either/or, you can be either/and. Make some changes in your life for 2019. Why wait until then? Start taking action now to have success taken place before the year is out. Go out and make something happen and we’ll see you all at the top. Kelly Resendez was born in Northern California and lives in Granite Bay, Ca. with her two children. She is the author of Foundation to Sustainable Success and Big Voices. She also is the founder of www.bigvoicesrise.com which is a women-empowered network. She is passionate about helping people increase joy, reduce suffering, and learn to think differently. Her journey has helped her create the strategies and tools that she shares throughout her books. She loves hiking, reading, and traveling with her children.